This was such a funny wedding photo. 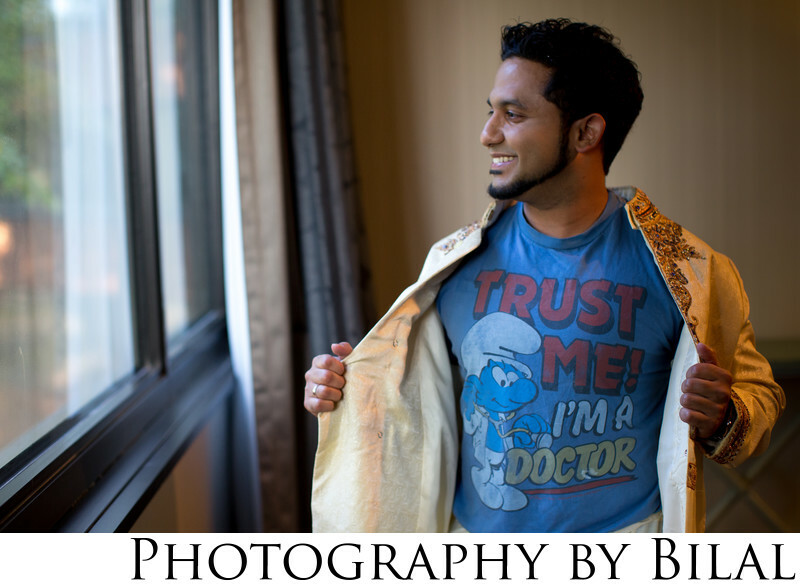 The groom was a doctor, so during the getting ready photos, we sneaked in this shot of him showing of his smurf shirt that says "trust me i'm a doctor". This groom had a lot of energy and was a blast to work with. This was captured at an Indian wedding Princeton NJ. Location: 102 Carnegie Center Dr, Princeton, NJ 08540.